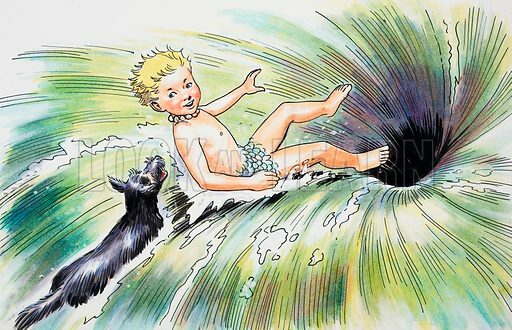 The Water Babies, based on the novel by Charles Kingsley. From Treasure (1965). Original artwork loaned for scanning by the Illustration Art Gallery. Available worldwide for immediate download up to 4,983 x 3,211 pixels.